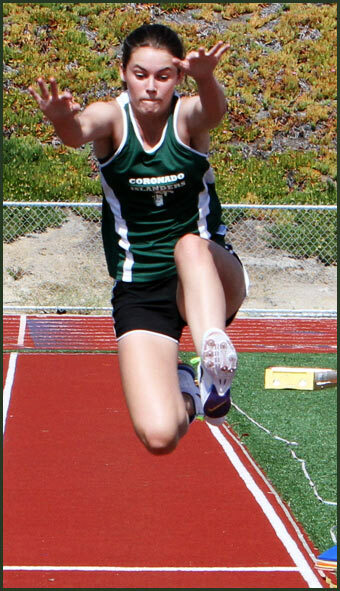 Girls' Triple Jump record Madeline Hopson 37' 2.5"
Madeline Hopson came out of nowhere and demolished the triple jump record in her freshman year with a series of jumps culminating with a mark of 36 feet 5.5 inches at the San Diego CIF finals at Mt. Carmel High School on May 28th 2011. As a sophomore she added the long jump record to her growing list of accomplishments and increased her triple jump mark to 37 feet 2.5 inches at the county Frosh/Soph meet on April 28th. Here's a Stop-Motion Flickr Set of some of Madeline's jumps. 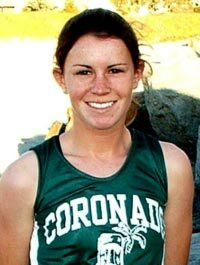 Previous record holder: Beth Wittry 33' 6"
Beth originally broke the triple jump record as a sophomore when she jumped 32' 7" on April 11th, 2002 in a dual meet with Crawford. She tied her own record several times over the next two years and finally hit her best jump at the Bronco invitational on March 11th 2004 with a leap of 33' 6". She's shown above practicing her step phase with coach Jack Nash. 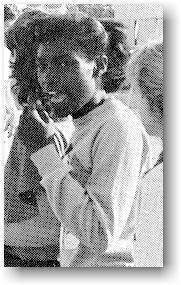 Previous record holder: Adrienne Flemister 32' 5"